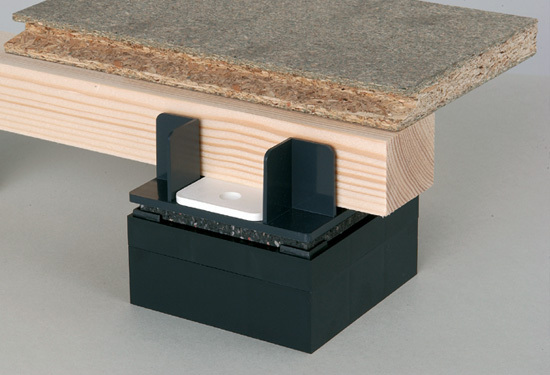 Excessive moisture from cast in situ slabs and screeds which have not dried out can have adverse effects on flooring materials and timber components. BS 8201:1987 (Code of Practice for flooring of timber, timber products and wood based panel products) states that “it is reasonable to recommend that the concrete be considered dry when the relative humidity falls to 75% or less“ (when tested by use of a hygrometer). 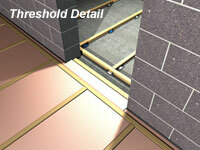 Where the dryness of concrete cannot be guaranteed it is recommended that a vapour barrier is installed. 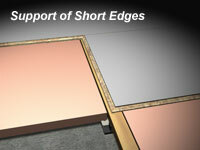 It is anticipated that partitions will be erected from the subfloor and not on top of the floating floor. Component spacings are calculated with reference to BS6399 – 1:1996. 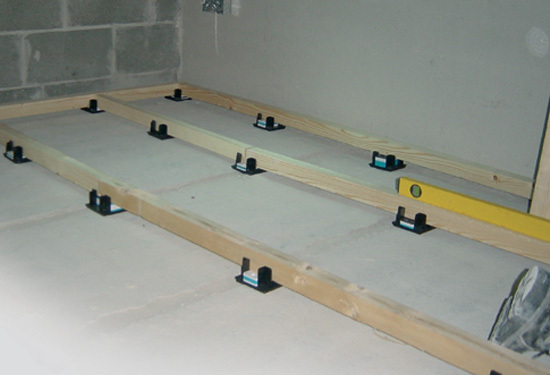 In order to mitigate impact sound the floor will exhibit deflection as loadings increase. 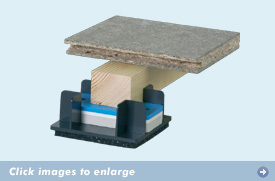 In kitchens and bathrooms Saddle centres should be reduced to 300mm. Danskin must be consulted for guidance if the design loadings exceed domestic loadings as specified in the above document or if extraordinary local loadings are anticipated. 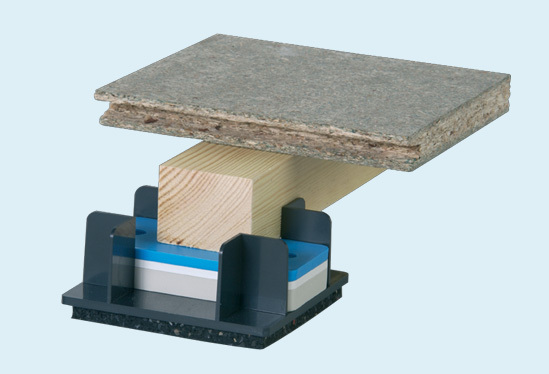 For example storage heaters, pool tables and certain granite worktops may require support direct from the subfloor, independent of the floating floor. There are inherent risks in laying ceramic tiles on top of floating floors. However the risks can be significantly reduced by good detailing and the use of modern flexible adhesives. Ceramic tiles have been successfully laid on the Saddle System in numerous projects over many years. Contact the Sales Department for specialist advice. BS6399 – 1:1996 imposes more onerous load bearing requirements for communal areas in certain designs of flatted developments. Concentrated load requirements over the long term can be as high as 4.5 kN. 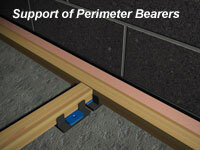 The maximum capacity of 22mm chipboard at reduced centres is 2.7 kN. 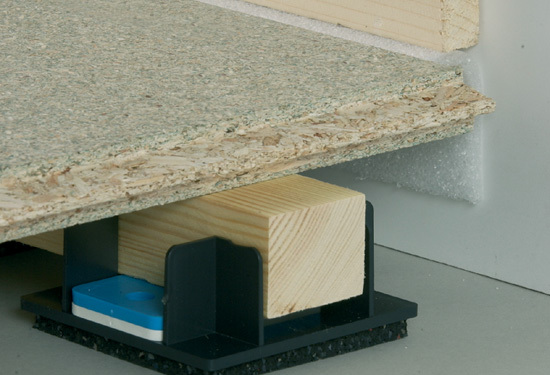 If it is intended to lay the Danskin Saddle System in communal areas in flats such as common corridors, hallways stairs and landings it is essential to contact Danskin for specific advice regarding the floor boarding and component centres.